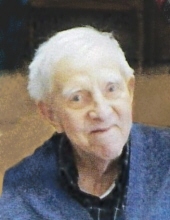 ROBERT EMERY DYKSTRA, 94, of Morrison, IL, died Tuesday, January 29, 2019, at Resthave Home in Morrison. Robert was born February 13, 1924, in Morrison, IL, to Hugo and Emma (Laman) Dykstra. He was educated in the Green Valley School of Rural Whiteside County. Robert married Grace J. VenHuizen on October 31, 1952, in Morrison. She died February 6, 2007. Robert was engaged in farming in the rural Morrison area for 35 years before moving into Morrison. While farming, he was employed by Brinkman and Pessman Lumber Company in Garden Plain, IL. Robert was a member of Ebenezer Reformed Church in Morrison where he served as a deacon, elder, and usher and was President of the Men’s Brotherhood. He was also a member of the Whiteside County Farm Bureau and enjoyed woodworking. Survivors include two daughters, Carol (Dennis) Wilson of Galesburg, IL and Beth (Rick) Poen of Bourbonnais, IL; three grandchildren, Jennifer (Aaron) Viner and Mark Wilson and Brandon (fiancée Renee Cholyway) Poen. He was preceded in death by his wife, Grace; one sister, Minnie Dykstra and one brother, Thomas Dykstra. To send flowers or a remembrance gift to the family of Robert E. Dykstra, please visit our Tribute Store. "Email Address" would like to share the life celebration of Robert E. Dykstra. Click on the "link" to go to share a favorite memory or leave a condolence message for the family.